- Test for existence of a break or a short in cable. - Operates at the physical layer of OSI Reference Model. - Determine a break or short occourred within cable with sonar-like pulse. - Operates at physical layer of OSI Reference Model. - Examine a cable whether it meets performance standards for its type. - Also test for impedance and other variables. - Advance tester will have data link layer data-collection capabilities. 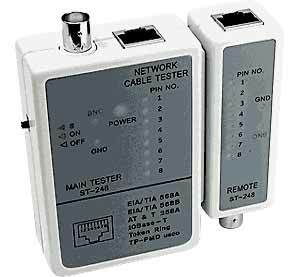 - Hardware or software which can monitor network traffic, find faulty network components and also analyze the overall network performance. - Operates at many layers of OSI model. 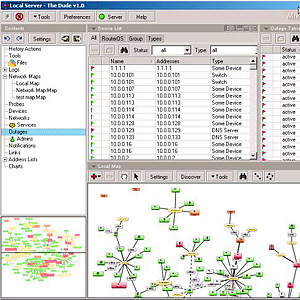 - Software which monitor the network performance and gather statics. - Example : Windows NT Diagnostics tool.